Ahmed Djemal (Turkish: Ahmet Cemal; 6 May 1872 - 21 July 1922), commonly known as Djemal Pasha, was a Young Turk and member of the Three Pashas. Ahmed Djemal was also Mayor of Istanbul. He was born in Mytilene, Lesbos Island to Mehmet Nesip Bey, a military pharmacist. Between 1908-1918, Djemal was one of the most important administrators of the Ottoman government. He graduated from Kuleli Military High school in 1890, then from the Military Academy (Mektebi Harbiyeyi Şahane) in 1893 in Constantinople. Firstly, he served for the 1st Department of the Ministry of Military Issues (Seraskerlik Erkanı Harbiye), and then he worked at the Kirkkilise Fortification Construction Department bound to 2nd Army. In 1896, Djemal was assigned to the Second Army Corps. Two years later, he became the staff commander of Novice Division, in Salonica. Meanwhile, he began to sympathise with the reforms of "Committee of Union and Progress" (CUP) (Turkish: İttihat ve Terakki Cemiyeti) on military issues. It was in 1905, when Djemal became a major and designated as the Inspector of Roumelia Railways. In 1906 he joined The Ottoman Liberty Society. He became influential in the department of military issues of the "Committee of Union and Progress". He became a member of Board of the Third Army Corps, in 1907. Here, he worked with Major Fethi (Okyar) and Mustafa Kemal. His grandson, Hasan Cemal, is a well known columnist, journalist and writer in Turkey. In 1911 Djemal was appointed Governor of Baghdad. He resigned however from this duty to rejoin the army in the Balkan War. In October 1912, he was promoted to colonel. At the end of the First Balkan War, he played an important role in the propaganda traced by the CUP, against the negotiations with the European countries. He tried to resolve the problems that occurred in Constantinople after the Bab-ı Ali Attack (Coup of 1913). 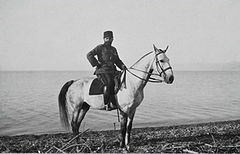 Djemal had a significant role in the Second Balkan War, and with the revolution of CUP on 23 January 1913, he became the commander of Constantinople and was appointed minister of public works. In 1914 he became the Minister of the Navy. Picture - Ahmed Djemal on the shore of the Dead Sea in 1915. When Europe was divided in two blocks before the First World War, he supported an alliance with France. He went to France to negotiate an alliance with the French but failed and sided with Enver and Talat, that favoured the German side. Djemal, along with Enver and Talat took control of the Ottoman government in 1913. The Three Pashas effectively ruled the Ottoman Empire for the duration of World War I. Djemal was one of the designers of the government’s internal and foreign policies, nearly all of which proved disastrous for the Empire. After the Ottoman Empire declared war on the Allies in World War I, Enver Pasha nominated Djemal Pasha to lead the Ottoman army against English forces in Egypt and Djemal accepted the position. 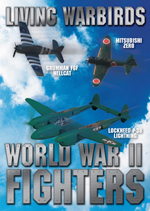 Similarly to Enver, he proved unsuccessful as a military leader. Picture - Jamal Pasha with Iraqi tribal leaders, celebrating the completion of the al-Hindya dam on the Euphrates river near al-Hilla, south of Baghdad. 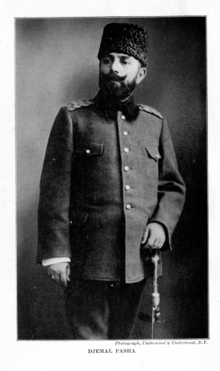 Djemal Pasha was appointed with full powers in military and civilian affairs in Syria in 1915. A provisional law granted him emergency powers in May of that year. All cabinet decrees from Constantinople related to Syria became subject to his approval. His offensives on both his first First Suez Offensive and second attacks on the Suez Canal failed. Coupled with the wartime exigencies and natural disasters that afflicted the region during these years, this alienated the population from the Ottoman government, and led to the Arab Revolt. He was known among the local Arab inhabitants as al-Saffah, "the Blood Shedder", being responsible for the hanging of many Lebanese, Syrian Shi'a Muslims and Christians wrongly accused of treason on 6 May 1916, in Damascus and Beirut. At the end of 1915, Djemal started secret negotiations with the Allies for ending the war (he proposed himself to take over the Ottoman government). These secret negotiations came to nothing, in part because the Allies could not agree on the future territory of the Ottoman Empire. 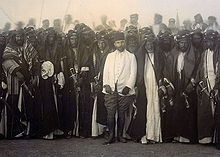 In the spring of 1915, while the Arab Revolt was rising, Djemal instituted strict control over Syria against Arab opponents of the Ottomans. Djemal's forces also fought against the Arab nationalists from 1916 onwards. Ottoman authorities occupied the French consulates in Beirut and Damascus and confiscated French secret documents that revealed evidence about activities and names of the Arab insurgents. Djemal used this information from these documents as well as from others belonging to the Decentralization Party. Djemal believed that insurgency under French control was the main reason for his military failings. With the documents he gathered, Djemal moved against the insurgency forces which were led by Arab political and cultural leaders. This was followed by the military trials of the insurgents known as "x�liye Divan-ı Harb-i x�rfisi" in which these leaders were punished. At the end of 1917, Djemal ruled from his post in Damascus as a near independent ruler of his portion of the Empire. In 1917, following the Ottoman Army’s defeats by the English Army under General Allenby, he resigned from the 4th Army and returned to Constantinople. In the last congress of Committee of Union and Progress held in 1917, Djemal was elected to the Board of Central Administration. With the defeat of the empire in October 1918 and the resignation of Talat Pasha’s cabinet on 2 November 1918, Djemal fled with seven other leaders of the CUP to Germany, and then Switzerland. A military court in Turkey accused Djemal of persecuting Arab subjects of the Ottoman Empire, and sentenced him to death in absentia. Later, Djemal went to Central Asia, where he worked on modernisation of the Afghan army. Due to the success of the Bolshevik Revolution, Djemal travelled to Tbilisi where he was assassinated, together with his secretary, on 21 July 1922 by Stepan Dzaghigian, an Armenian, as part of Operation Nemesis, in retribution for his role in Armenian Genocide. Ahmed Djemal's remains were brought to Erzurum and buried there.